Happy Thanksgiving! Here is a little holiday discount coming your way. How about a BLACK FRIDAY PATTERN SALE? 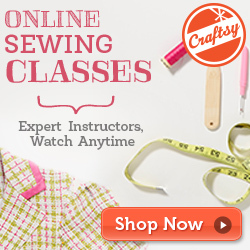 This is a great opportunity for you to pick up a few patterns at a great price. The patterns in my shops usually sell for $6.00 a piece. I am giving you a bundle deal, any 3 patterns for only $7.50. That makes them only $2.50 a piece. After placing your order, you will receive an email (make sure the email on your etsy account is the email where you want your patterns sent to) you will then be given a link to your download page. Scroll down and click on the patterns you want. You will be able to download your patterns INSTANTLY. Print and save your files on your computer. (If you ever lose your files, just throw me a note and I can resend them to you). There is NO LIMIT on how many bundles you can buy. This is a great time of year to do a little Christmas gift making from your heart! This pattern sale is only available until Sunday, November 27. Ohhhhhhhhh the fun things you can make! Have fun sewing!